It’s such a dull name for it, “sector deal”, but to be plain the government’s Roundhouse announcement of £150m to “help cultural and creative businesses across Britain thrive” is very good news. Not because of the money - it’s not that much, almost none of it is new and at least half of it will come from business anyway - but because at long last the government has acknowledged that the creative industries constitute a serious player in the economy. They are a Thing. Notwithstanding the fact that the Thing is growing twice as fast as the rest of the economy, it’s worth £92bn a year and employs two million, it has never been in our official industrial strategy. Until now. 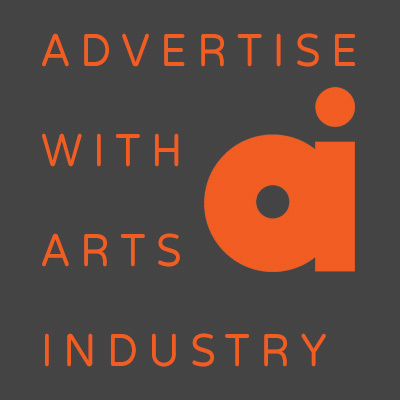 Next week AI will carry an interview with one of the three men who were the first to successfully define the creative/cultural (they never saw a distinction, nor do I) sector – no spoiler but the other two were David Puttnam, who needs no introduction, and John Newbigin, founder and chair of Creative England. It’s taken 21 years, and our profile subject will give us the fascinating history. But to the present, Wednesday’s announcement is not only a watershed in the development of the concept of creative industry (whose definition was elusive until someone could put a sum of money on it), it is an example of the kind of inclusive pragmatism that is almost always absent in political deals. This one has been wrought by two government departments working together, no minor accomplishment, but also with the private sector through the work of the Creative Industries Council. The politicians, business secretary Greg Clark and culture secretary Matt Hancock, will scrape to themselves as much of the kudos as they can, but the hard work was done long before they had even heard of the creativity industries, done by the CIC and its contacts. Even then, the CIC’s co-chair, Nicola Mendelsohn, tweeted that day that the deal was “definitely only the beginning”. To put some detail on it, the £150m is a “joint investment” by the government and industry; it includes a £20m fund cities and towns will be able to apply for a share of to boost “creative and cultural” initiatives; £33m goes to immersive technologies like virtual reality games, interactive art shows and digital technology in tourism; strengthened intellectual property rights. The most strategic element of the deal is the aim to invest in creative enterprise zones around the country, so that for the first time the economic and job creation potential so long ignored can be exploited as a national policy. I don’t how much of a coincidence it is that the announcement came only a few days after the Mayor of London launched his draft culture strategy or if Sadiq Khan knew of the Roundhouse fixture and wanted to get in first, but there is a distinct similarity. The two key elements in the London plan, on which deputy mayor for culture Justine Simons has been working for at least as long as there have been mayors of London, are the enterprise zones (mentioned in Khan’s first press conference after he was elected in 2016) being developed because rents, rates and other costs are so prohibitively high in London that without some help the creative enterprises don’t stand a chance (there’ll be an announcement in the autumn about where they are); and the London Borough of Culture aimed at taking the elitism out of London’s arts enjoyment. London is a special a case – more than half that £92bn comes from the capital yet no-one can afford to live there who isn’t already been doing so – but to what extent the Khan plan is a blueprint for the sector deal can only be conjectured on. We should welcome that the Tory government of Britain and the Labour government of London are thinking the same way about culture. But how much is the London plan a blueprint for other cities? Simons and Khan have been talking to other cities and though each has its own special conditions and potential there is a great deal of interest in what London proposes, especially since it’s only getting £20m in public money, the rest is in using the planning and by-laws strategically and kneading the cash from other sources. Those sources may or may not be European, but there is a sense that the momentum is now too great for whatever Brexit arrangements there are to have a seriously deleterious effect. Call it soft power, but the cultural sector is at last a Thing, a many-splendored Thing, and a Thing even governments now acknowledge has to be reckoned with.